The Products API allows for adding and updating products and purchase logs within your account. 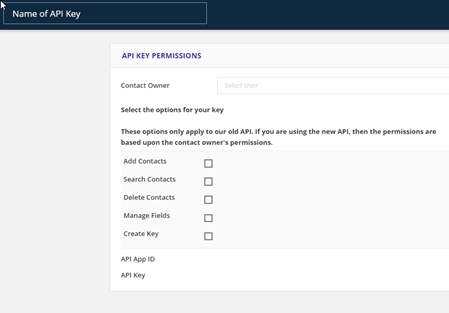 Use of the Products API requires an API App ID and API Key. These can be generated within your Ontraport account by going to Account > Ontraport API Instructions and Key Manager. The post URL is comprised of the API address (in this case, http://api.ontraport.com/pdata.php) along with the following paramenters. All dates passed to the ONTRAPORT API must be in Unix Time format (also known as seconds since epoch). To get the Unix Time version of a standard date/time, you can use a converter (such as EpochConverter). Most programming languages should have built in methods for date conversion as well. Products use 3 different fields in order to match a sale/transaction with an existing product; external_id(hidden), product_id, and name - in that order. If a match is not found, the API will attempt to create a new product based on the provided information. Return: Success or fail message. If return_id flag is set, complete product information is returned. Required Data: At least one product related field inside <product> and <Group_Tag> tags. Optional Data: Any of the following fields can be passed upon creation of a new product. Note: As stated above, at least one of these fields needs to be passed in order to successfully create a new product. Note: Search requests are limited to 500 results. Pagination is available for results which return more than 500 records. The "page" attribute can be added to the opening search tag to indicate the desired page number. Note that if a start and/or end date is not passed, the purchase history will return the search within the last 10 days. Therefore, if only a start date is passed, the return will be purchases matching the search criteria up to 10 days since the start date. Required Data: contact ID and JSON encoded transaction data. Optional Data: Either product ID of existing product or new product data. Date of transaction will default to current date/time, but can be overridden in purchase data. You may also use an existing product and override the price and adjust quantity purchased on a per transaction basis. NOTE: The "external_id" field is a hidden field that allows you to use an alternative to the ONTRAPORT product id (for an external id, sku, etc). If external_id is passed, the API will attempt to use that to match up the product. If it is not passed or doesn't match, it will attempt to use the product_id. If product_id is not passed, the API will attempt to create a new product based on the information provided. If no product_id is passed and no product name is specified, the transaction will fail.